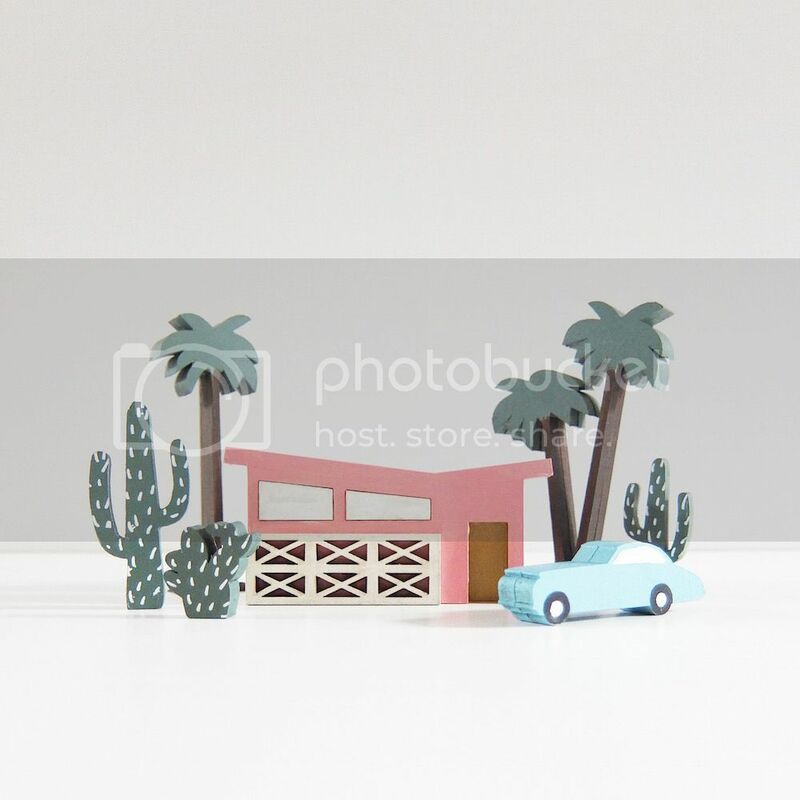 It's been a bit of whirlwind in working on these, our newest product line, Mini Cities by McKean Studio! 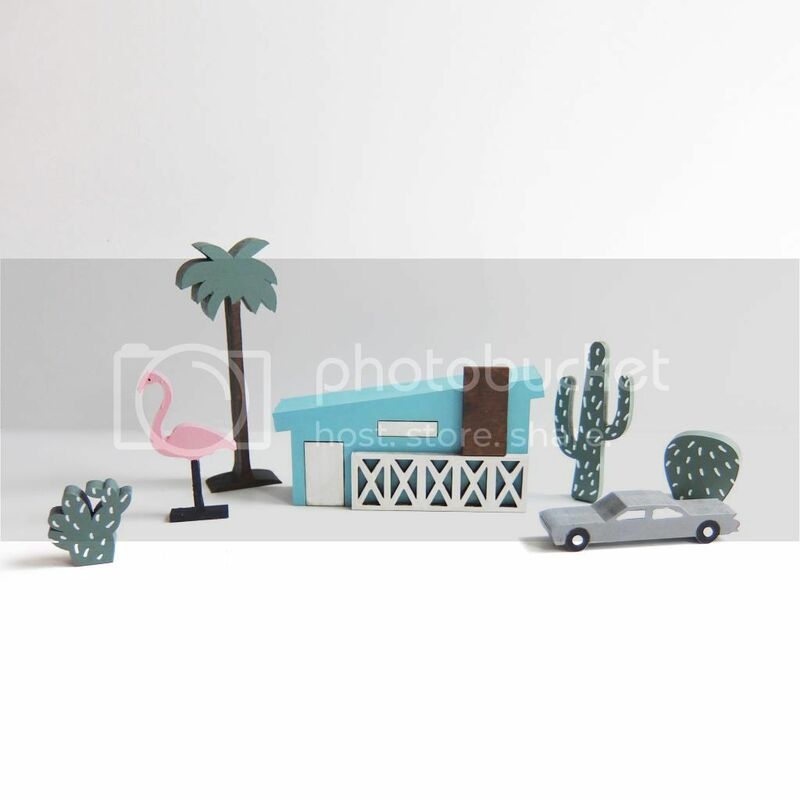 Our first city range is Palm Springs - inspired by the mid-century architecture of one of our all time favourite cities. Butterfly roof tops, Swiss Miss A-frame houses, breeze blocks, chimneys, the works! Matching cars (including convertibles and Cadillacs!) work back with each set. I love how these have turned out, and we're so proud of them! I've spent way too many hours to count painting and detailing each little piece, but it's been worth it for such a hugely supportive response to the Mini Cities. This blog post has been a month in the making, as we've been busy filling orders and then selling out of the next batch before we could tell anyone about them! It's incredibly rewarding to have such a favourable response to a new product, and makes the hours spent squinting at computer files or painting wheels onto miniature cars all the more worthwhile. If you've bought a set, thank you! 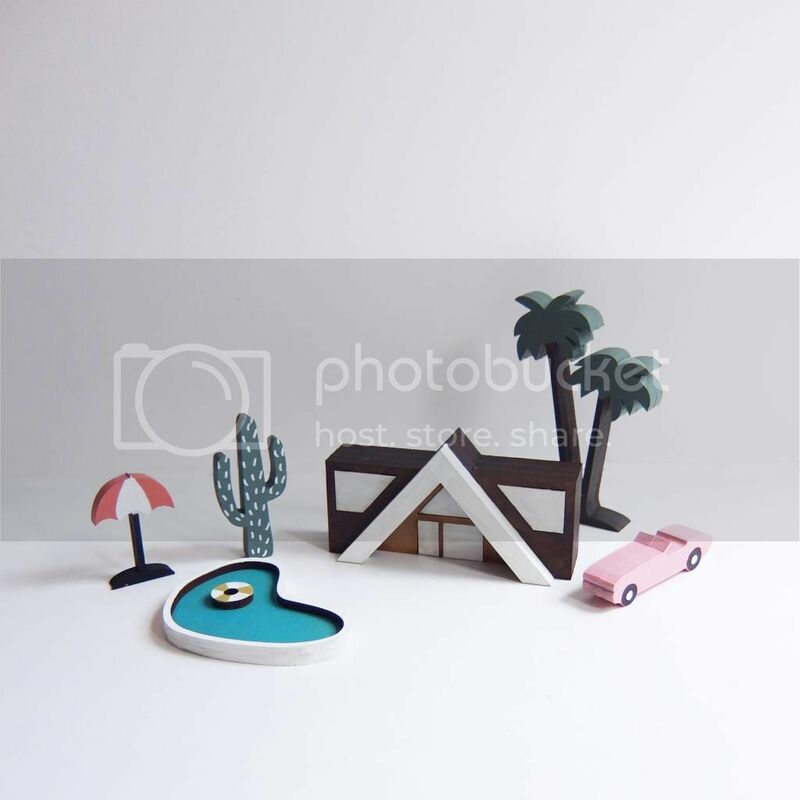 All of the Mini City sets are available in the online store now.